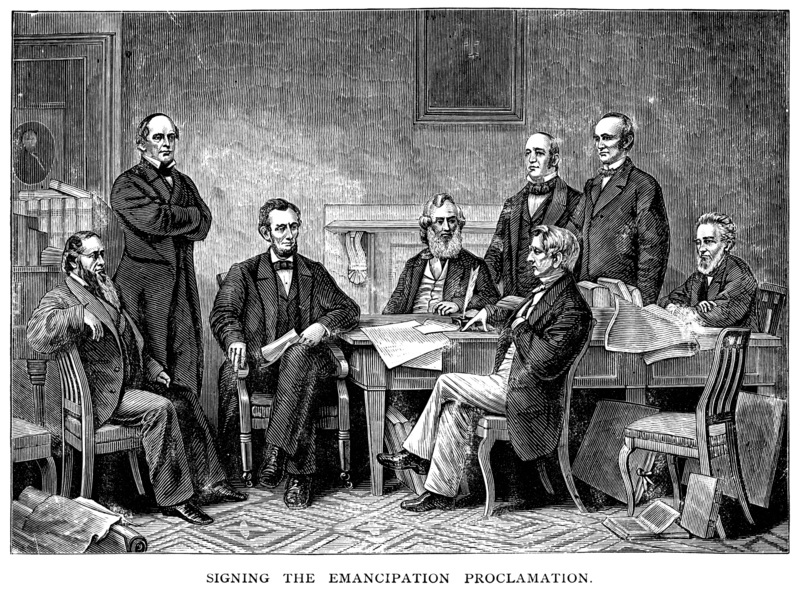 On this day 153 years ago in 1862, President Abraham Lincoln delivered a preliminary Emancipation Proclamation. The document set a date for the emancipation of more than three million slaves across the United States. Since the Civil War broke out in 1961, Lincoln had always been hesitant to state that the war was about slavery. He maintained that the reason was to restore the Union. Lincoln was hesitant about addressing slavery because it was such a controversial issue and refused to discuss it earlier, despite urgings from legislators and his own moral opposition to slavery. He instead chose to tread carefully in order to gain the widest acceptance from the general public. However, by issuing the Emancipation Proclamation, the President thrust the issue of slavery into the national spotlight, recasting the war as a fight towards ending slavery. He informed the cabinet in July 1862 that he would draft an emancipation proclamation, but it would exclude border states, where people owned slaves but were loyal to the Union. However, the cabinet persuaded him not to issue the announcement until after the Union declared victory in the Civil War. With the Union's victory over the Confederacy at the Battle of Antietam in September of that year, Lincoln got his opportunity. On September 22, 1862, the president declared that all slaves would be free within 100 days. Lincoln followed up on January 1, 1863 by formally issuing the final version of the Emancipation Proclamation, announcing that all slaves within the rebel states "are, and henceforward shall be free." The Emancipation Proclamation switched up the Civil War a lot. It called for the formation and recruitment of black military units, which welcomed an estimated 200,000 African-Americans who decided to serve. It also implied that anyone who supported the Confederacy also supported slavery, causing countries who had previously been amiable with the Confederacy, such as France, to cut ties with the South. Because the Emancipation Proclamation was a presidential order and not a law, Lincoln pushed Congress to pass an anti-slavery amendment to make sure it stuck. The 1865 passage of the 13th Amendment eliminated slavery throughout the entire United States of America.